In this chapter, the authors present conceptual models of decision support systems (DSS) and Expert systems (ES) for Human-Operator (H-O) of Air Navigation System (ANS), such as air traffic controller (ATC) in flight emergencies, Unmanned Aerial Vehicles (UAV) operator, Safety Management System (SMS), etc. The authors made an analysis of the International civil aviation organization (ICAO) documents on risk assessment and the impact of the social environment on the aviation system. Automated system of pre-flight information preparation with intelligent module for support the decision making (DM) about aircraft departure are presented and program realization of systems are shown. The authors obtained algorithm of determining the optimal aerodrome for the forced landing of aircraft is provided. Expert systems of aviation enterprise's estimation were developed. Inhomogeneous factors of internal and external management environment of aviation enterprise were generalized using set-theoretical approach. This gave possibilities to define that the level of safety of aviation activity has the greatest influence among factors of internal environment and global economic situation – among factors of external environment. The authors demonstrate some interesting applications of DM in Socio-Technical Systems (STS). The DSS for H-O of ANS in the emergency situational were developed. Examples of DSS: DSS of ATC in the emergency situational; the flight dispatcher's DSS; DSS of UAV's operator, etc. 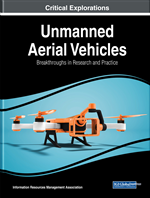 In addition, the chapter presents some cases of DSS developed by the authors and colleagues at National Aviation University, Ukraine. Support of the safe functioning of ANS is one of the most important scientific and technical problems. Statistical data show that human errors account for up to 80% of all aviation accidents (Cross-Cultural Factors in Aviation Safety, ICAO, 2004). According to ICAO’s data (State of Global Aviation Safety, ICAO, 2013), comparing with 2011, in 2012 the number of incidents in the world decreased on 21%, in 2013 – on 13%; number of fatalities in 2012 decreased on 10%, in 2013 – on 55%. Consequently, the least number of deaths was fixed in 2012-2013, starting from 2004. As a result of decreased number of incidents, and increased number of departures, the frequency of incidents in the world in 2012 was reduced to 3,2 events per million departures and in 2013 – to 2,8 events per million departures. This is the lowest value since the ICAO started to monitor the frequency of incidents in the world. Aviation systems cannot be wholly free from dangerous factors and connected with them risks, while, the elimination of aviation events and serious incidents continues to be the final goal of human activity in the sphere of aviation safety. Neither human activity nor systems created by it guarantee a total absence of operating errors and their consequence (Safety Management Manual ICAO, 2013). In such a way, safety is a dynamic characteristic of aviation with the help of which risk factors for flight safety should steadily decrease. It is important to note that adoption of efficiency indices of ensuring flight safety is frequently influenced by internal and international standards and also by cultural features (Manual on Global Performance of the ANS, ICAO, 2009). While risk factors for flight safety and operating errors are under control, such opened and dynamic system as civil aviation may be controlled providing the necessary balance between flight performance and safety requirements for passengers and their baggage. Latest demands of international aviation organizations (ICAO) directed on implementation of integrated approach for the improvement of aviation safety. One of the ways to increase safety by timely is support of pilot in emergency situations (Report of the Twelfth Air Navigation Conference, 2012). Approach based on the characteristics (the performance-based approach – PBA), the principles of informed DM to achieve the desired/required results and to use facts and data for DM (Manual on Global Performance of the Air Navigation System, 2009) ICAO constantly develops and improves proactive, based on the risks evaluation, methods, directed on the farther decrease in number of aviation events in the world. Also ICAO encourages aviation communities to recognize the importance of adherence of the single global approach for safety improvement and monitoring (State of Global Aviation Safety, 2013). So called aeronautical DM is DM in a unique environment – aviation. It is a systematic approach to the mental process used by pilots to consistently determine the best course of action in response to a given set of circumstances. It is what a pilot intends to do, on the basic of latest information he has (Pilot’s Handbook of Aeronautical Knowledge, 2008).